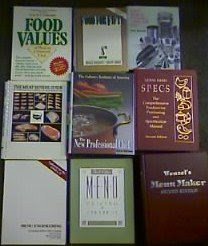 You may have lots of cookbooks, proprietary recipes, books with food yield statistics, market data, shopping lists, inventory count sheets, supplier quotes, product mix reports, quarterly tracking reports and other documents. A professional recipe model should be designed to integrate all of this useful information. The person working on this project needs to wear many hats: purchasing agent, steward, prep cook, line cook, and chef. Rather than using a cookbook approach, start with your shopping lists. Use your shopping lists to create a spreadsheet with all your ingredients. Make columns for the name, category, primary supplier, purchase unit, storage area and storage unit. Since the unit you purchase is used on orders, this is our starting point. It's helpful to know your alternate sources for each ingredient. You may want to categorize each item by the storage method. For example, frozen, refrigerated, dry bulk, canned goods, frozen goods, baked goods, etc. Feel free to add these columns. Its impossible to get too much information for your ingredient list. Once the list begins to come together, envision the flow for each item from loading dock to the table. Most items are purchased by the case and are stored as purchased. Some items are immediately transformed into other items through fabrication. Visualize the process of moving from the purchased unit of measure to the storage unit of measure first. You may simply remove six #10 cans from a case and place the cans in a rack. The purchase unit is case and the storage unit is a #10 can. Focus on the storage unit and the divisor (6 in our example). Breaking down every item you purchase into logical storage units is one of the most important steps in creating a professional recipe costing model. Each #10 can is valued at 1/6 of the case cost. Don't worry about the actual cost of each can. Focus on the number of storage units in each purchase unit. Our work will eventually involve many calculations using units of measure, various blends, yield formulas, conversions, reciprocals and standard portion data. The simple exercise of developing a purchase unit to storage unit model is the ideal starting point. Once you complete this exercise, future conversion work will be more intuitive.